Great two story townhome, with large living room with lots of windows covered in wood blinds, sliding doors from dining area to patio area, eat in kitchen with hardwood floors, all appliances, pantry. Access to oversized 1 car attached garage. 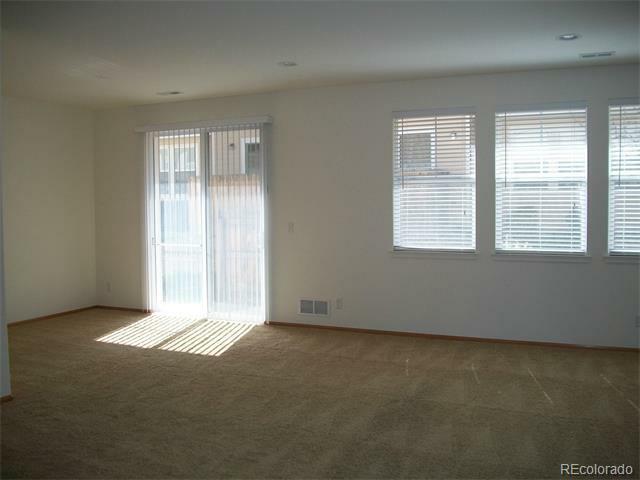 3 bedrooms upper level, master bathroom with tiled floor/counters, laundry area upper level. AC unit is 1.5 years old. ready to move! Great location near 470/Jordan or Parker Road. Walking distance to Cherry Creek Trail.